Andy Mitchell, Facebook’s director of news and global media partnerships, arrived at the (superb) international journalism festival in Perugia last week to speak about news on Facebook. Thirty per cent of American adults get their news via Facebook (27% in the UK); 88% of millennials in the US do so (71% in Italy). Each month, 1.4bn people use Facebook. That makes Mitchell one of the most – if not the most – powerful news distributors on the planet. And what Mitchell had to say was straightforward in most ways (full video here) and extremely odd in one important omission. This was all fascinating, but there wasn’t any mention of how Facebook sees and handles its role as a news gatekeeper, influencing both the detail and flow of what people see. The issue didn’t come up right till the end when a Scandinavian questioner asked Mitchell about instances of Facebook cutting out material from the news linked from his organisation and an Italian student followed up. Mitchell batted both questions away without addressing either directly. I think it is hallway of the Chicago Tribune building which is decorated by quotations on journalism and the freedom the press carved into the stone walls. Many are inspiring, most are sonorous and a few are pompous. 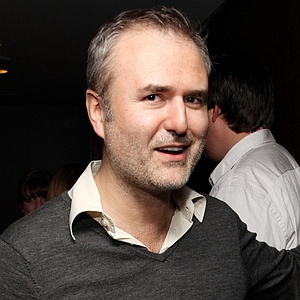 Gawker has a claim to be the most successful online journalism start-up on the planet (despite the fact that some journalists don’t think it’s good journalism). What Denton’s rallying cry illustrates so well is that in the digital era much changes, but not everything does. Adjust the prose style and that paragraph could have been written or spoken by any galvanising editor of the past three centuries. It belongs on a wall somewhere. This blog has occasionally murmured that serious news media with an interest in being trusted had one simple way of demonstrating their reliability with the facts. And that way was offered by the digital technology which is so menacing to the livelihoods of newsrooms rooted in the print era. I’ve argued that the building of trust would be strengthened by footnotes: links in the text which take the reader to the full version or to the source material. Digital content operates in three dimensions: the two dimensions you see on the screen of a phone, tablet or PC and the third dimension which you can access via an embedded link. I wasn’t alone in pointing out this neglected opportunity, but I was surprised by how little traction the idea – which still seems a no-brainer to me – actually had. I had the chance to explain it recently to the editor of A Very Serious Newspaper whose journalists, I said, could demonstrate their superior reliability by this simple change. It was clear the the editor in question had little idea what I was talking about. I think part of the problem is the word “footnotes”. So this small campaign is here being officially rebranded. “Footnotes” remind people of tiny text at the foot of the page on dusty pages in silent libraries. Henceforward this is the drive for “open sourcing”. Yesterday’s post about the rising indifference to online comments provoked replies which undermined one of my assertions: that early hopes of intelligent conversation made possible by easier digital access have evaporated in the face of the everyday experience of insult, aggression and irrelevance. With only a handful of exceptions, the comments have been useful and to the point. A few pointed out, as I ought to have, that other have been there before me. Here’s one example from Helen Lewis of the New Statesman; in a tweet-exchange with others reacting, she said that the NS had switched its comments system to Disqus with good effect. One thing I ought to straighten out. I was not arguing that online comments should be withdrawn or stopped. No such thing is going to occur. What I was suggesting is that the simple technique of opening comments has not delivered the results hoped for. That has two great attractions: it’s “open” in a simple, inclusive way and requires only minimal moderation to remove unacceptable material. So I was hinting that I think this is going to evolve. This is exactly the point which Mike Masnick (of Techdirt) drove home: his site asks users to vote on comments and give prominence to those which come out on top. He sees no connection between anonymity and talking rubbish. The other night I went to see Chimerica, Lucy Kirkwood’s fine play about a photojournalist who searches for the never-identified Chinese man and hero of an iconic picture who stood defiantly in front of a line of tanks just after the massacre in Tiananmen Square. On the way out of the theatre, I bumped into a fellow journalist. The newsroom dialogue was witty and sharp we happily agreed. And our favourite among those bits we also agreed was the crusty American editor spitting with rage about online comments below the newspaper’s online articles. To judge by the prevailing tone of public discussion, journalism in Europe and America has been suffering a prolonged nervous breakdown. 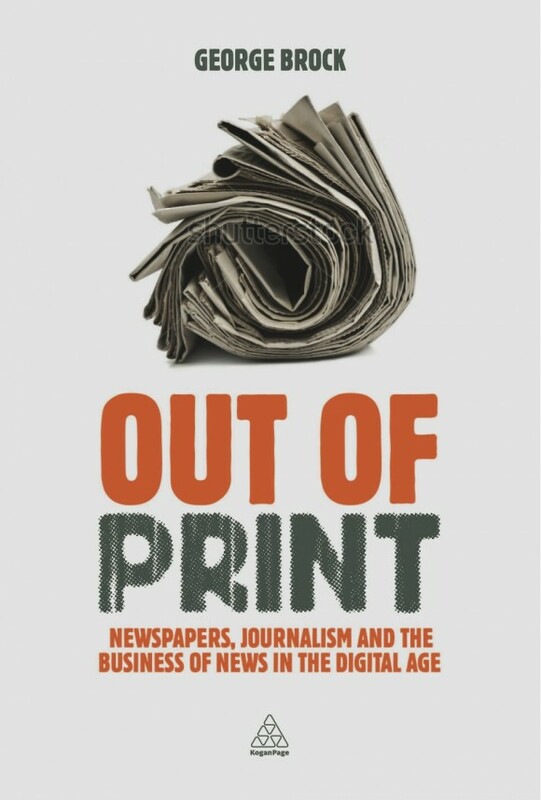 Jobs are lost as newsrooms contract, print circulations shrink and online news startups fail because they can’t make enough to survive. The portrait of some newsrooms painted by the Leveson Inquiry was not pretty. Writing a book which examines these issues, I’ve come to think that most of this gloom is overdone and out of date. Certainly, much is lost in a phase of change. But I am sure that the net impact of digital communications on journalism will come to be seen as positive and not negative. My book is called Out of Print: Newspapers, Journalism and the Business of News in the Digital Era and here is the elevator pitch version of its argument. Journalism is being renewed and re-engineered for new conditions. It is almost impossible to measure with scientific precision, but the generative energy needed to adapt the ideals of journalism to radically new possibilities does exist. Established journalists often seem determined not to see the evidence of this. The fact that a single business model to sustain journalism hasn’t been found to replace the broken print-advertising one doesn’t mean that online news businesses can’t succeed without philanthropic or state support. Gradually, larger numbers of new platforms are succeeding even as many fail. I reached this optimistic frame of mind not only by looking at the present and speculating about the future but by recalling the past. Journalism exists in inherently unstable conditions (the junction of social and democratic purposes with the market) and is always being renegotiated, improvised and the subject of experiments. The dominance of printed journalism, for example, began crumbling earlier than most people realise. The aggregate circulations of British national newspapers peaked in the early 1950s. The greatest single driver of change is the quantity of information available. That shifts the emphasis of reporting and editing to the management of abundance, for information in quantity is not the same as information on which you can rely. Many journalists have yet to come to terms with this shift. (There’s an excellent piece on this theme here from Slate’s business and economic writer Matthew Yglesias). Why have journalists (myself included) been slow to adapt? Possible reasons include…the news business is inherently conservative because its practitioners are so caught up in the daily/hourly struggle…the importance of independence to journalists has meant a resistance both to change and to accepting advice (such as from software geeks). But a corner has been turned. The long trends show that print won’t disappear, but that as a vehicle (and a culture) for news it will be much less important in the future. As digital re-routes the way information travels and changes access to knowledge, the exciting challenge is to adapt journalism’s basic aims to a new phase. That’s the short version: I naturally hope that you’ll read the longer version (you can pre-order here). I’m about to take my summer break, but when the book is published in September I’ll most probably be writing about it again….